Enhance your learning experience—find out what services and support are available to achieve at university. Get group and one-on-one academic support, including workshops and peer support. Resources are also available on the StudyHub. Victoria University has four libraries—at least one on each campus. Each has resources and facilities to support your study, with staff to help. If you have a temporary or ongoing impairment, get advice and support, including coaching, note-taking and exam support and access to rest and study rooms. Get access to language resources including print, audio, DVDs, computer software and eTV in several languages. 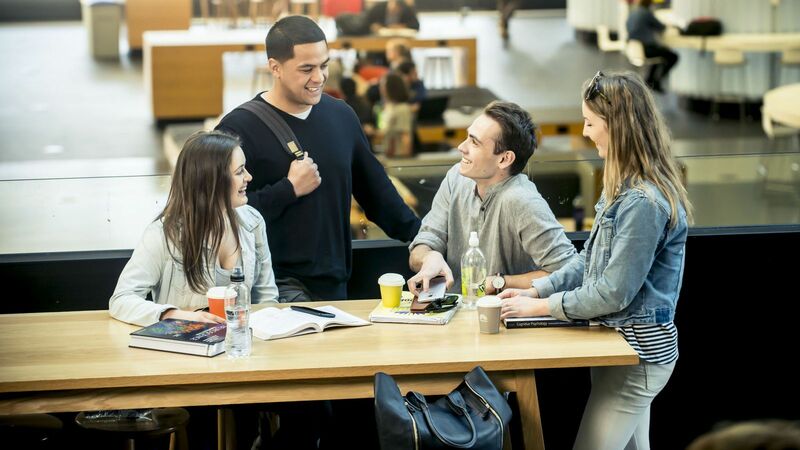 The Pasifika Student Success team can help you navigate your transition into tertiary study, with study spaces, support staff and mentoring programmes. Māori and Pasifika students studying Law can sign up for tutorials, mentoring and study skills sessions. Victoria International provides information, advice and guidance to international students, including practical support for visas and insurance. Strengthen your academic skills and access study help and tips with the StudyHub online resource library.